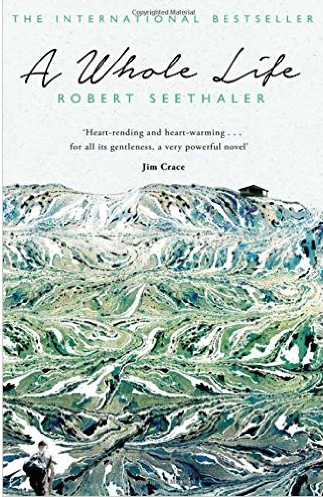 I’ve heard a lot about Austrian author Robert Seethaler’s books, especially Der Trafikant, but only when I saw that his latest had been translated and longlisted for the Man Booker International Prize, did I finally feel like reading him. I’ve read so many raving reviews that I thought I’d love this. Unfortunately, I didn’t. When I went digging for German and Swiss reviews, I found out that he wasn’t so unanimously praised and that I was far from alone in being highly critical of this novel. That said, it’s not a bad book. It has beautiful passages but it felt oddly anachronistic and I couldn’t shake a feeling of déjà-vu” or rather “déjà-read”. I should have picked one of his other novels. I’ve read so many similar books by earlier authors that I couldn’t help but wonder “Why did he write this?”. Robert Walser, Meinrad Inglin, C.F. Ramuz, they all wrote similar stories but, in my opinion, much better. There’s even a recent crime novel that’s similar. Now, maybe it’s unfair to judge a book because of its lack of originality, but I had other problems. People wrote how beautiful it was, how soothing, calming, refreshing. The only thing I found soothing, calming, and refreshing was the moment when it was over and I realized – wow – am I grateful for my own life. Our protagonist, Andreas Egger, is an orphan, has to live with an uncle who is cruel, even sadistic, beats him until he’s crippled. Later he falls in love but the woman is taken from him. After that he volunteers to go to war (we’re in 1940s) and is refused. Later he’s taken anyway and soon becomes a prisoner of war on the Russian Front. He comes home; things have changed. He works like a donkey. He’s always alone. He sees a buddy lose an arm. And so on and so fort. It takes a stronger reader than me to find much joy in something like this. I found it nightmarish. I did like a few passages because the descriptions were amazing. I liked the way he captured the mountains. The book is set in the Alps, pre-electricity, pre-tourism, at first. I’ve seen the scary side of the Alps. I always feel like the mountains are alive, brooding and lying in waiting. Seethaler does evoke that. (But so do Inglin and Ramuz). I also liked a few really crazy moments like the beginning in which the main character carries an old man down the mountains (that doesn’t sound crazy but believe me— it is. I’m trying not to spoil this book too much). In the NZZ, the Neue Zürcher Zeitung, the critic Hannelore Schlaffer called this a book for sadists. Of course, that’s an exaggeration but I get what she means. I wish I had picked another of Seethaler’s books. They all sound wonderfully original. However, my biggest problem is that of all of his books, this is the one that was chosen for translation. Why? WWII? Again? Admittedly it’s just a short sequence but it’s important. To some extent, I can see the appeal. Andreas Egger is a quiet man. Someone who doesn’t care for tourism and all the commodities a modern life brings. He’s modest and humble. You couldn’t find a character who is less narcissistic. All this is admirable but why did Seethaler have to turn this into such a biblical story? Couldn’t our humble protagonist have experienced more joy? Why was Seethaler so cruel to his character? 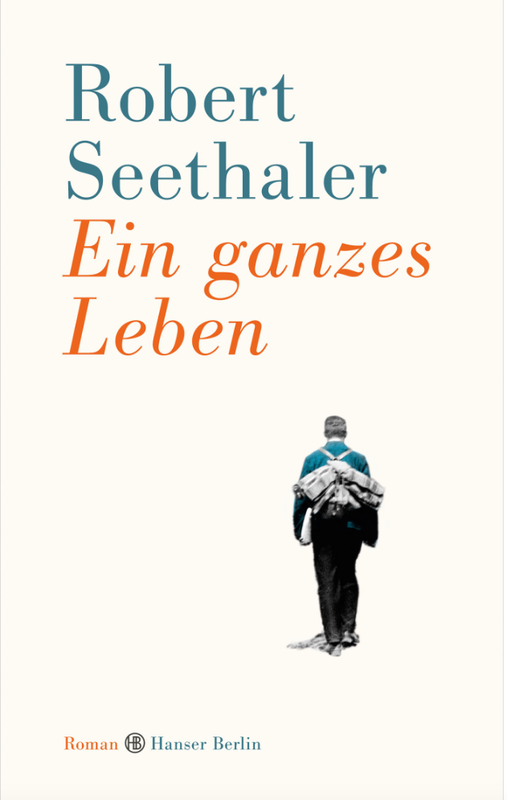 It may surprise you, but I’m tempted to pick another of Seethaler’s novels and I’m even convinced I will like it. Not every book is for everyone and this one wasn’t for me. Those who loved this might enjoy Robert Schneider’s Schlafes Bruder – Brother of Sleep, which I found amazing. They might also enjoy this trio of Swiss writers, two of which write in German, one in French: Robert Walser, Meinrad Inglin, and C. F. Ramuz. As I said, I have read many positive reviews of this book. Here are a few Lizzy, Vishy, Stu, and Pat. I can see the Ramuz comparison, but, not having read Seethaler, I cannot comment. I will probably try another of his books, as you suggest. Yes, do that. I hope we can compare notes. I’ll read his first next. They all sound so good. Der Trafikant is a bit special as the protagonist meets Freud, but it does sound appealing too. Is that ‘Jetzt wird’s ernst’? Die Biene und der Kurt was the first. Sounds pretty grim Caroline – I think I’ll definitely avoid it! I felt that way, yes, but all the others loved it. Oh, what a shame. I was about to say that I’ve seen nothing but praise for this little book, so I’m sorry to discover that you didn’t like it. Funnily enough I have a copy on the shelf. It will be interesting to see how I find it…I hadn’t realised it was such a grim story. I’ll be very interested to hear what you think. It’s a quick read. The writing flows well. I hadn’t realized grim it was either because the reviewers didn’t dwell on that. I felt bad that I didn’t like it more, knowing how much you did. I don’t know what I expected, something in the vein of a Japanese author. Something not as harsh. Why though? Not sure. I just couldn’t focus on the beautiful things he experienced anymore after all these disasters. The I thought of The Wall which is tragic too but I liked it. Not sure why this book and I did so not get along. Mostly it was that I read too many similar books. Vishy’s got to the heart of it. The comfort lies in the fact that Egger doesn’t become a malcontent despite the harshness, tragedy and limitation of his life. Such things can be overcome. It’s a much needed lesson in these days of (over-)expectation. That’s one way of seeing it. Somehow I didn’t feel he was all that content. Humble, yes. Modest, yes. Happy with his life. Not so sure. And I thought Olive Kitteridge was bleak. 🙂 I’ll be passing on this one, Caroline, but thanks for the Brother of Sleep recommendation. It sounds very good. The language of Brother of Sleep is amazing. It has also been made into a movie. Seethaler is a good writer but I just couldn’t help feeling dragged down by all this misery. Thanks for letting me know. I’ll add a link to my post. I had to spend a couple of weeks in the high Alps for a university project in the 90s and it was pretty much like Seethaler described it. One of the best books I’ve ever read. Modest but powerful. I wish I had liked it as much as you. I can see why it appeals to people. It just didn’t appeal to me. But it’s a very well written book. Your disappointment coupled with your desire to try another book written by this author is something that I am familiar with. I become fascinated with the positive aspects of things that need improvement. This does sounds really dark. I think that I would also be a little disturbed by it. Yet I am tempted to read the book. It’s entirely possible that you would like it as it’s interesting. Such a different way of life and well written. That’s why I’ll read him again. It was the book, not the author, that I didn’t like. Interesting! I just read about this this past week and immediately added it to my wishlist as something I have to get my hands on. Now I am all the more curious about it! And glad that in spite of my reservations you still feel like picking it up. I don’t want to be unfair toa well written book just because it wasn’t for me. I echo your comment “WWII? Again?” I’m starting to hate when contemporary writers choose WWII as a setting. I know these events are great material for a novelist but it’s more than déjà-read, it’s over-read. It is. It doesn’t get much psace here but – yeah well – again! In this case it’s sad because his other books seem so much fun and even better written than this one and NO WWII. I looked at some of his other books and they all seemed so witty and original. This one is different. I like Modiano a great deal and was pleased when he won but nonetheless wondering whether the Nobel Prize was justified.